A young German woman moves to London from war-ravaged Berlin in 1956 to start a new life. She takes a new name – Charlotte Brown – and lands the job of her dreams at the National Gallery. But London is a city still rising from the ruins of the war, and Charlotte encounters ruthless individuals who are set on rising with it. Out of her depth in a world of aristocratic rogues, conmen, thieves and art dealers with unsavoury wartime connections, her life becomes unstable and complicated. After a series of broken relationships and poor career choices, she loses her job and, more seriously, becomes the subject of a criminal investigation. Lonely and short of money, Charlotte has to make a new life for herself yet again. 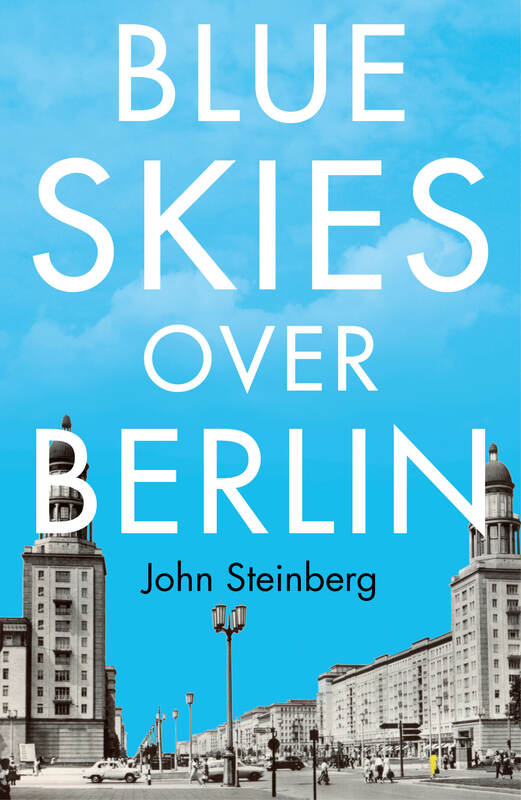 Blue Skies Over Berlin is a moving and thought-provoking book about guilt and who we really are from an author who is fascinated by the human condition and the challenges life can throw up. It is a must-read for fans of Howard Jacobson, Ian McEwan and William Boyd.